I'm so glad! I hope Reid gets more to do this year, and the profilers are more prominent than the unsubs this year. That means 2 more seasons of CM for me! What a relief! Two more seasons of CM for me also - I wouldn't have watched without him. Who knew that a TV star would see this little show and actually ASK to come be in it!! We were like... Um HELL YES YOU CAN COME BE IN THIS SHOW ARE YOU CRAZY??? How incredibly generous and amazing she was on set, and playing the role of Linda’s shrink, Criminal Minds star Kirsten Vangsness really helped us take the series to a whole new level of prestige. I hope that the cast dosent change anymore i love printes,jj,reid,hodgner,derick,garcia,and rossi. I watch every night and even reruns. Please dont change! Great news that MGG is returning to the show, still upset my favorite Paget brewster has left the show and will try to motivate myself to watch season 8. Happy for all the Matthew/Reid fans, and fans of CM and Matthew himself. Thank goodness. I was afraid I may have watched my last original CM episode. I have to say, after this season, the only thing that kept me watching was Reid (Matthew). Had he not signed I would have regretfully moved on. I am nervous about what will happen with the writing but I am now looking forward to Season 8. Congratulations Matthew and thank you for returning. I know there is a myriad of things you want to do but Spencer Reid is a very special gift you give to all of us. That's good the hear! 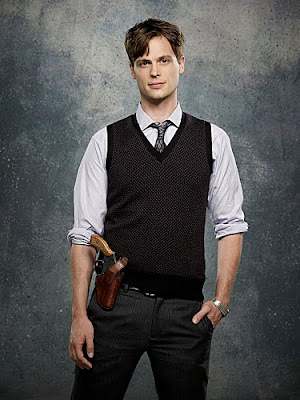 Reid is my favourite character and I too was debating whether to continue watching if MGG didn't sign a new contract. With each successive season being more knownsub focussed I've found the show to become rather dull. While I still love the cast, I've lost some love for all the characters, including Reid. Hopefully season 8 will change that. That's such good news. Reid/MGG is the only thing keeping me watching this show, without him I would no longer be tuning in. Here's hoping that Reid gets a decent storyline this year. I'm obsessed with REID!!!!!!!!!!! He's my own boy genius, haha. I just voted for him on TWOP.com's Tubey Awards for Best Character. GO VOTE! MGG is so sweet and deserves to win something since he's stupidly ignored by all the big name awards shows for TV. Thank God! Wouldn't have watched it without him! I LOVE Reid .!!!!!!!!! Criminal Minds would'nt have been the same. He is super hot .!! !